Euronews - WATCH! The 2018 Grand Prix d’Horlogerie de Genève (GPHG) final stage. WATCH! 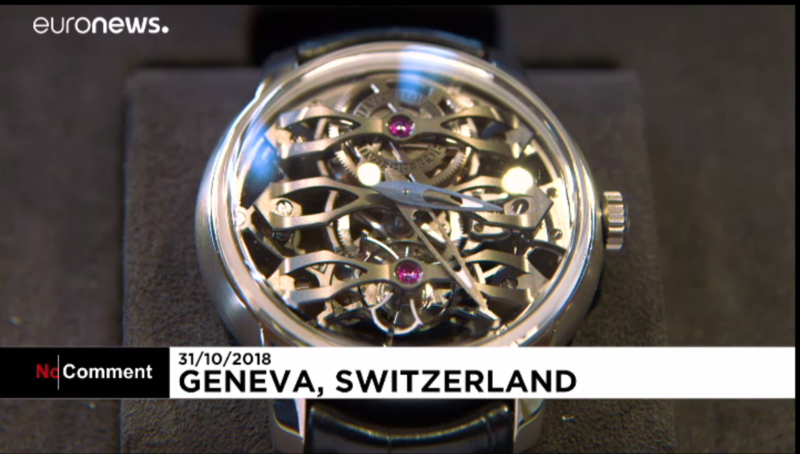 The 2018 Grand Prix d’Horlogerie de Genève (GPHG) final stage. After Venice, Hong Kong and Singapore, the 72 watches selected by the jury of the Grand Prix d'Horlogerie de Genève (GPHG) have arrived at the final stage of their international journey: the Museum of Art and History in Geneva. These small masterpieces, presented by the most famous brands of the sector, can be admired by the public until November 14th. On Friday 9th November, at the Leman Theatre of the Swiss city, will be held the 18th edition of the Grand Prix d'Horlogerie, during which one of the competing timepieces will be awarded with the prestigious "Aiguille d'Or" trophee.